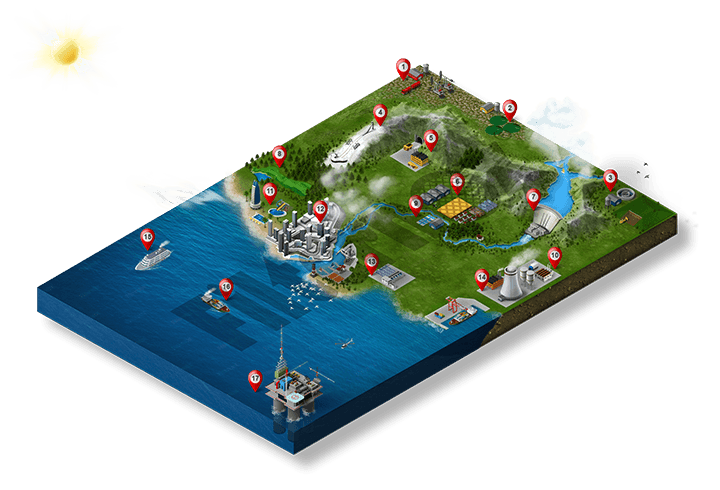 The Solution Mining Research Institute (SMRI) defines solution mining as “mining of underground, water-soluble minerals, usually using one or more drilled wells to dissolve the minerals with water”. Minerals such as salt, potash, trona, and magnesium salts may be produced by pumping saturated fluid from underground caverns. The caverns are created by pumping out the saturated ‘brine’ while pumping in fresh water as a controlled production process. The minerals are then recovered from the saturated fluid by recrystallization. 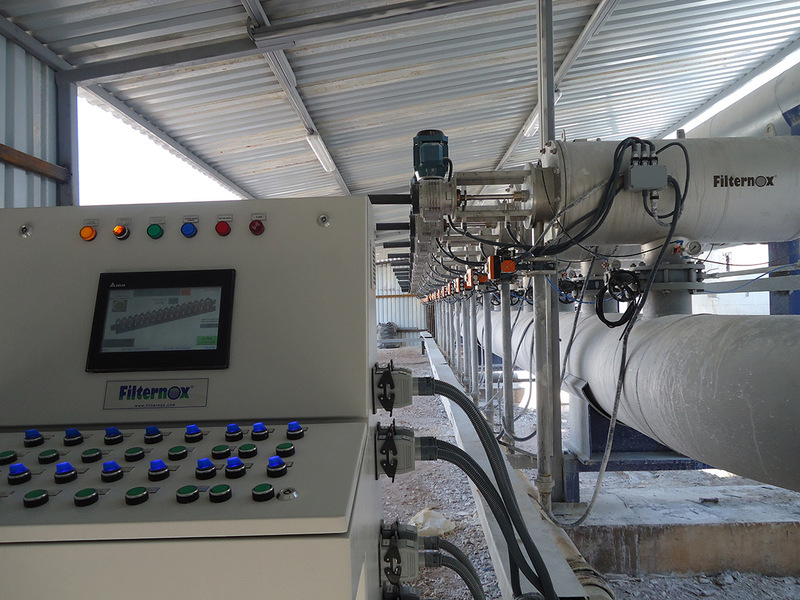 Filternox® played a big role in the second biggest trona reserve in the world. 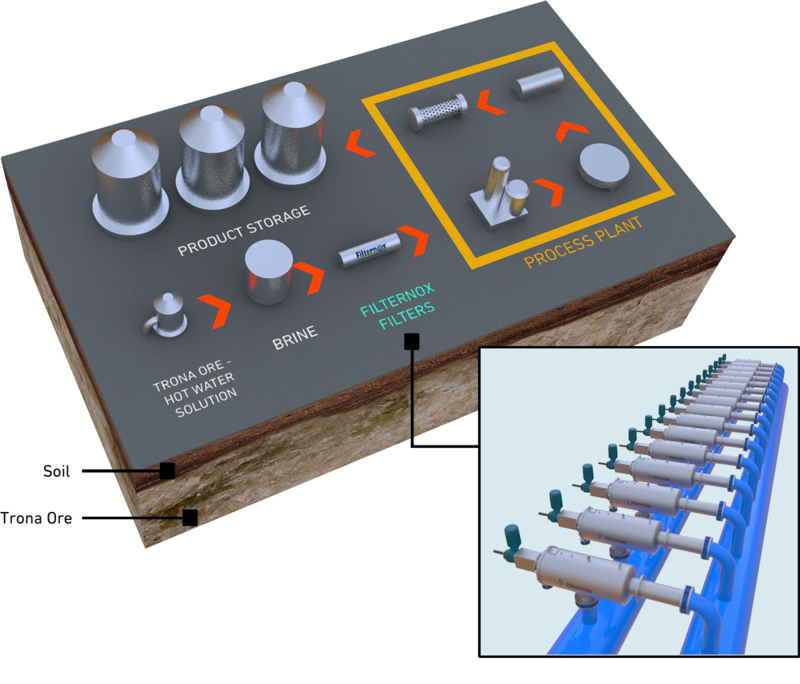 Trona reserves are meant to be dissolved with hot water injection by production wells, which then forms trona solution (brine). This mining facility provides the trona solution (brine) which is the raw material of the process plant. The trona (sodium sesquicarbonate Na2CO3 NaHCO32H2O) is mined by solution mining, a safe and environmentally friendly mining technique. The trona solution, i.e., brine which is subjected to monohydrate process in the production lines of process unit is converted into Dense Soda Ash and Sodium Bicarbonate products, and 2.5 million tons of Dense Soda Ash and 200,000 tons of Sodium Bicarbonate is produced annually. Dense soda ash produced from trona at the plant is used in a wide range of industrial areas such as glass industry, paper production, and detergent production. Sodium Carbonate is a basic salt. Its aqueous solution is clear and colourless, and its chemical formula is Na2CO3. 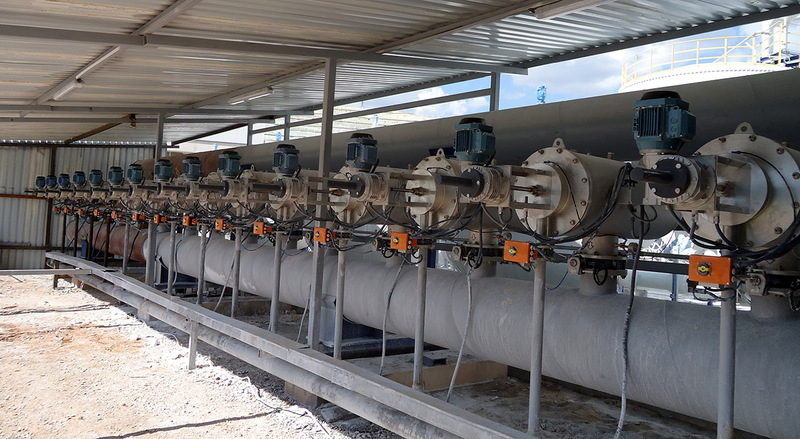 In the solution pretreatment unit, suspended solids are removed from brine, which come from the mining wells. The suspended solids are removed with Filternox® filters. 16 units of Filternox® filters remove particles down to 25 micron. After the whole filtration process, the filtrated brine is stored in the raw brine tanks.